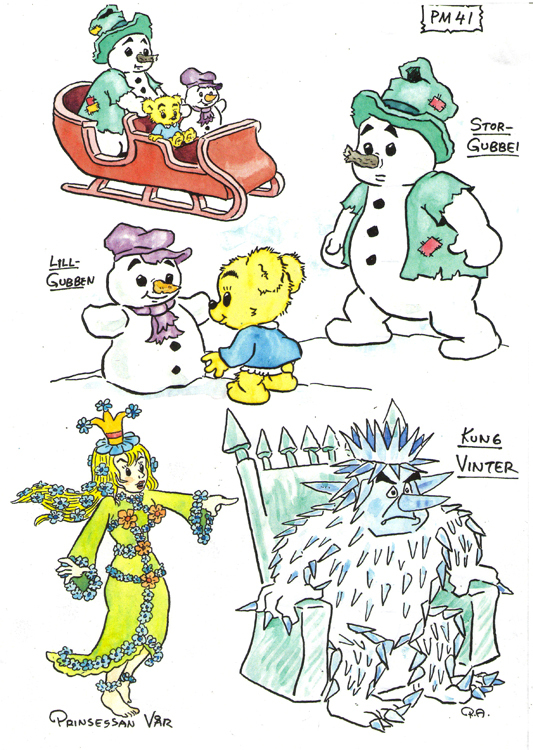 There’s plenty of snow-stories in the latest issue of Bamse. Among them the Raymond Briggs inspired “Brumma och Snögubben” (Brumma and The Snowman), written by Bamse’s creator Rune Andréasson. 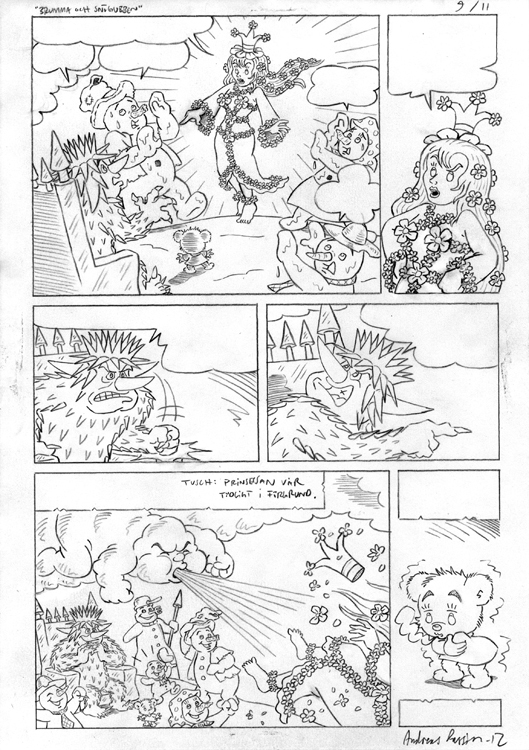 It was pencilled by me and inked by Kerstin Hamberg. It’s about Bamse’s youngest daughter Brumma, talking snowmen and a mythomaniac squirrel. 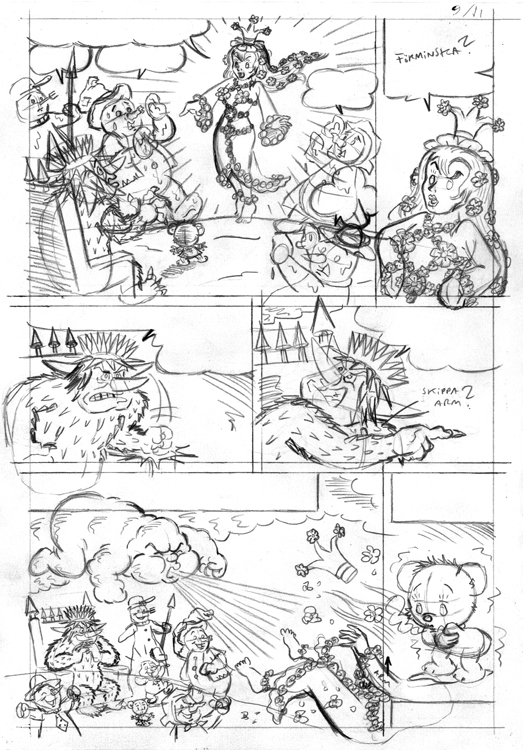 This was the last Bamse comic I drew before starting work on the Bamse feature film last year in May. The best part of drawing Rune’s stories is getting these beautiful character design sheets of his to work from. In Rune’s scripts, the panels, boxes and balloons are already in place. Makes the cartoonist’s work a lot easier. 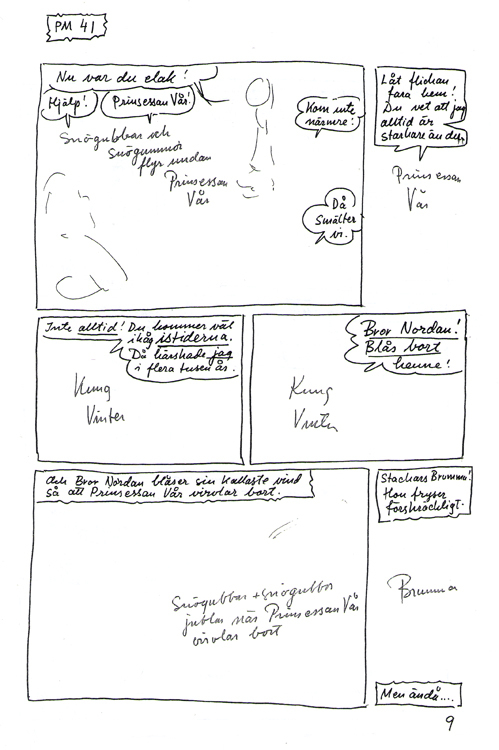 Rune also takes page layout and spreads into consideration, which is nice. My interpretation of Rune’s script. Clean up for inker, a step I’ve skipped since I started inking myself, which I guess is a good thing. The printed page. Neat ink work, as always, by Kerstin Hamberg. The colorist is unknown to me. 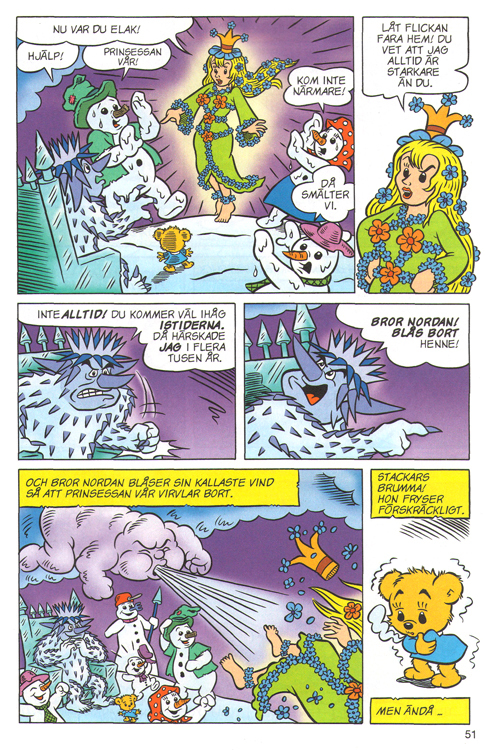 This entry was posted in Bamse, Comics by Andreas Qassim. Bookmark the permalink.